Everything in life requires organization in order to exist. From the smallest atom to the tiniest amoeba to the sprouting plant bud to the enormous blue whale, everything has a certain structure and function necessary to survive. I once heard Dr. Reggie Gold use the example of a picnic to illustrate this concept. Say you decided to go to the park to have a picnic. You get in your car, drive to the park, and walk up to the picnic tables fully expecting your friends, family, and a lot of food to be there. Instead, the picnic tables are completely barren. You are alone without a trace of food. You expected a picnic… what happened? There was no organization. What you needed to do was call your family and friends, organize the picnic for noon Saturday at the local park, delegate someone to bring sandwiches, someones else to bring potato salad, someone else to bring the chips and dip, etc. Organizing the picnic will fulfill your expectations of company and food when you arrive at the park Saturday at noon. Your body also has an organization to it. In fact, the human body has the most perfect organization in history. However, the human body didn’t simply organize itself. If it didn’t happen with the picnic, it certainly won’t happen with something as complex as the human body. This is where Innate Intelligence enters the equation. Innate Intelligence is what began organizing your body once that sperm fertilized the egg. Innate Intelligence is what created your heart cells, organized them into the heart, and placed it just left of center in your chest. And your lungs on either side of the heart. And your esophagus in the center of the chest cavity. And a perfectly designed rib cage to protect those vital organs from damage. Next, to stabilize that rib cage, is a series of ligaments, tendons, and muscles over, under, and in-between each rib. Intricately woven through the muscle fibers that stabilize the rib cage are various intercostal nerves. And to cover it all up, protecting everything from the harsh realities of the outside environment, is a layer of skin. Could any of us design these precisely placed structures better than Innate Intelligence? I know I couldn’t. Innate Intelligence is what makes our heart beat approximately 60-80 beats per minute. 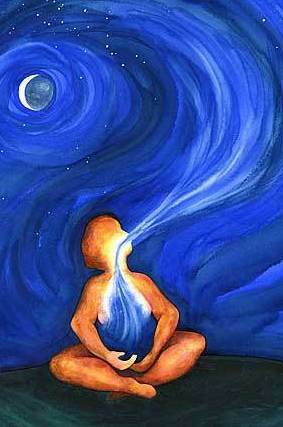 It is what makes our lungs take 12-16 breaths each minute. It makes our esophagus move chewed food down into our stomachs. Innate Intelligence is what causes your metabolism to burn off excess fat that it has no use for when you exercise. Innate Intelligence is what makes my children’s baby teeth fall out to make room for their emerging adult teeth. All these functions occur without us having an awareness they are even occurring. Could you remember to make your body do all those tasks every second of every minute of every hour of every day? Of course not. And these few functions are the tip of a gigantic iceberg of functions we can’t even begin to fathom. Your body’s Innate Intelligence has five essential properties that allow it to control every aspect of your body without your conscious knowledge. They are survival, adaptation, reproduction, replication, and healing. Innate Intelligence’s tendencies always go back to keeping you and me alive, at any cost. If that means Innate Intelligence has to rob Peter to pay Paul, so to speak, it will. Think about high blood pressure. Plaque lines the artery walls, obstructing normal natural blood flow. This build up of plaque narrows the diameter of the artery, causing a restriction in the amount of blood traveling to the rest of the body. Less blood means less oxygen. Less oxygen to the rest of the body means it won’t be able to survive very long. If this is what happens to the body because of unhealthy lifestyle habits, and Innate Intelligence didn’t exist, high blood pressure would be a non-issue because people would be dead before it ever gets to that point. But that’s not how the human body was designed. Innate Intelligence will do whatever it must to survive. Instead of letting your body starve oxygen-wise, it will simply have the heart pump the blood harder through the arteries. This way the same amount of blood will get through, despite the narrowed artery, and your body will get the necessary amount of oxygen. Think about the fight or flight response. We come across a life threatening circumstance, like a grizzly bear, or a mugger, or black ice on the freeway, and Innate Intelligence has programmed certain responses in our body to keep us alive. Our body drives the blood away from the gut and into the muscles. This is to keep your muscles oxygenated in case of fighting or fleeing instead of using it for digestion (lunch just isn’t that important anymore). To get the maximum amount of blood to those muscles it will increase your heart rate, blood pressure, and respiration. Increased blood sugar will occur to make sure those muscles can react rapidly. Your senses are increased i.e. your pupils dilate to allow more light to see clearly and your hearing is sharpened. To further increase the response, your adrenal glands will secrete epinephrine and norepinephrine (adrenaline). To deaden any pain you might experience, endorphins are secreted as well. In short, Innate Intelligence has devised and programmed an abundance of life-preserving physiologic responses necessary to keep our bodies full of life. I don’t know about you, but I am reminded of the limited comprehension we possess of the perfection of Innate Intelligence. There is no pharmacist in the world that can distribute the right chemical to the right part of the body at the right time of the day the way Innate Intelligence does each second of our lives. What I see as amazing, is simply Innate Intelligence doing what it must to survive. But survival is just the tip of the iceberg. Adaptation is the second trait of Innate Intelligence and a vital component that leads to a strong, healthy, and effective immune system. The immune system is not the only vehicleInnate Intelligence uses for adaptation, but for our purposes today, this is the example we will look at. Without the ability to adapt to all the different aspects of our environment, such as bacteria, germs, viruses, or allergens, our bodies wouldn’t have the tools they need to survive as long as they are potentially capable of doing. Luckily, our bodies have innate immunity to fight off potentially destructive organisms in our environment so we can do just that. But what about the organisms our bodies don’t yet have the blueprint or defenses for? This is where adaptive immunity comes into play. Adaptive immunity occurs when our immune system is able to construct a pathogen-specific immunity against a particular organism. Adaptive immunity can be broken up into two subsets: natural and artificial. For our purposes, we will only cover natural adaptation, as artificial adaptation comes by way of medical intervention, such as vaccination. Within natural immunity, we delve even deeper into two more subsets: passive and active. An example of natural passive immunity would be when a mother’s maternal IgG antibodies are passed on to the growing fetus inside her belly through the placenta. Another example would be the transfer of maternal IgA antibodies in breastmilk to the baby’s gut. This provides the baby with a defense against various potential bacterial infections until his or her own body can begin creating its own antibodies. Natural active immunity occurs when we are exposed to a live pathogen. This will trigger the immune response in which B cells and T cells are activated. This, in turn, results in memory B cells and T cells developing in order to defend the body from future invasions of the familiar pathogen. Natural active immunity is the standard by which adaptation is measured. 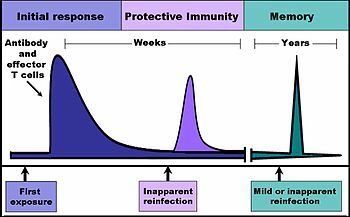 In fact, naturally acquired active immunity is considered more effective and/or more permanent when compared to artificially acquired active immunity, such as immunizations, which require periodic booster shots to extend immunity. Which one of us could design a bodily defense system as intricate, as choreographed, as deliberate, or as effective as our own immune systems? How could we ever adapt to our environments or the organisms in our environment without Innate Intelligence automatically directing the mechanisms of defense? Again, trying to comprehend the perfection of Innate Intelligence is futile. So I don’t. I simply accept it, study it, and have faith that my body’s Innate Intelligence knows how to heal my body better than I do, or any hospital, nurse, or doctor does. Our responsibility is simple. All we have to do, as tangible vessels of Innate Intelligence, is listen and trust. Those instructions are easier said than done at times, but highly beneficial when followed. 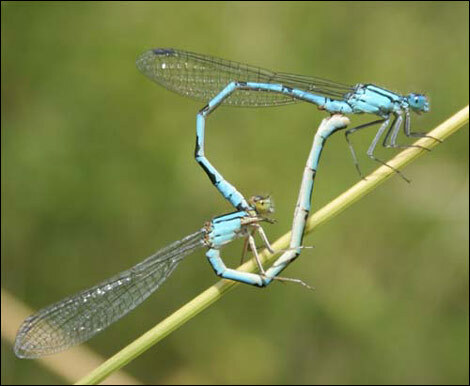 I think everyone reading this blog understands how reproduction occurs and what causes it. However, my wife January is pregnant with our fifth child, and I can’t figure out why… maybe someone can explain why these little babies show up in my life every two years or so. All joking aside, when you stop to think about it, it is quite a wonder how one single motile sperm cell out of 2-4 billion fuses with the ovum for fertilization. I once heard Dr. Wayne Dyer explain how each of us won the most important race of all in the very beginning of our existence. That’s a good thing because I’ve never been the fastest in any race I’ve been in. How do primitive germ cells develop into oogonia, then the ovum? Why do sperm cells consist of a head, midpiece, and a tail? How do these two different cells know to bond and begin a new human life? Why is it that the precursor to the brain and spinal cord are the first things to develop embryologically? I honestly don’t know. All the science text books tell us how these things form, develop, and what their purpose is, but not why. Honestly, I don’t need to know why. All I care about is that my Innate intelligence knows why. 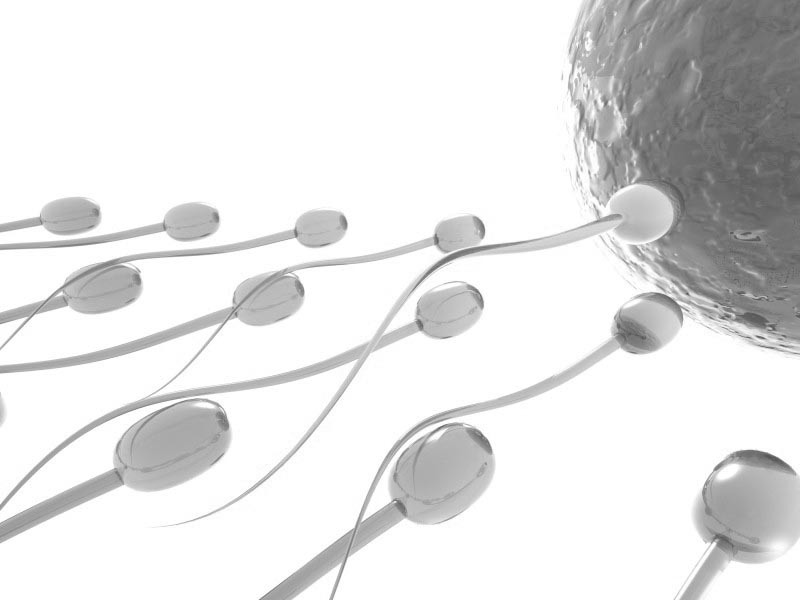 Each of our bodies has a specific blueprint that downloaded the minute the sperm fertilized the ovum. Once that download occurred, it automated a superior program that far surpasses the most sophisticated new man-made technology out there. I don’t know about you, but trying to grasp the concept of the myriad structures, functions, processes, and their reasons for existence is too much for my feeble human mind to comprehend. I have difficulty multitasking as it is. To know my Innate Intelligence has a perfect knowledge and control of everything that exists and happens within not only my body, but the body of my unborn child is a comforting feeling. I will admit that cell replication is not the most exciting subject to me. However, as one of the five fundamental properties of Innate Intelligence, it must be discussed here. Thoughts vary on how often skin cells need to be replaced. Anywhere from one day to 10 days to 27 days could be the answer. But the fact is they do get replaced. But before these skin cells go through apoptosis (cell death), they replicate themselves. This happens on a continual basis without you even knowing it happens. But the skin isn’t the only place this happens. In fact, this happens everywhere in the body. All our organ cells are constantly replicating themselves on a continual basis as well. If you think about it, between every one to three years, all the cells in our bodies are completely new and different from the ones we had previously. Every few years we have completely new skin, heart, lungs, stomach, intestines, bones,etc. Essentially, we have a completely new body from the one we had five, ten, or fifteen years ago. What has not changed, though, is our Innate Intelligence. It has stayed the same since the development of the sperm that fertilized the egg, constantly monitoring everything that goes on inside of us at all times. When you cut your finger, do you ever wonder how it heals? Some of you have broken bones before and needed a cast. Have you ever wondered how the break heals back together? Is it the Neosporin that heals the cut? Surely the Band-aid is what keeps the big bad world from infecting the cut even more, allowing it to really heal, right? How about the cast set about the broken bone? Doesn’t the cast heal the fracture? Wrong. None of those things aid the healing process in any way. Our Innate Intelligence takes care of those things so that we don’t have to. When we cut our finger, for example, Innate Intelligence directs the healing in four phases: hemostasis, inflammation, proliferation and remodeling. During hemostasis, blood vessels constrict and platelets accumulate to form a clot at the site of injury, forming a scab when the clotted blood dehydrates. Inflammation follows as histamine causes the blood vessels to secrete white blood cells at the site of injury to fight off any foreign bacteria that might cause infection. Proliferation comes next and can take anywhere from several days to several weeks. This is when the tissue, in this case skin tissue, begins repairing itself, as directed by Innate Intelligence. Remodeling is last, and can take years. New collagen replaces old collagen and the site of injury contracts, forming scar tissue, which is not visible in minor cases. What prevents healing from happening in advanced cases? People with a vertebral subluxation for years may experience all sorts of different symptoms. Anything from low back pain and acid reflux to hypothyroidism and migraines. As the subluxation causes interference to nervous system transmission, decreased function in one or multiple parts of the body take place. Over time, if left unattended, this will lead to advanced aging and degeneration of one or multiple parts of the body. When the subluxation is removed via specific Chiropractic adjustment of the spine, and nervous system transmission has been restored completely, the body can heal itself and begin reversing the damage that has been done over the previous years. Not only can Innate Intelligence direct healing to every part of the body without interference, but it can also effectively direct replication, reproduction, adaptation, and survival. As the ultimate embodiment of Universal Intelligence, or nature, within each of us, Innate Intelligence can perform miracles when left unobstructed. Don’t you think you deserve that? Download the FREE “Above Down Inside Out” E-book Today! It’s that time again… time for another FREE e-book from The Atlas of Life! This time, we’re covering Innate Intelligence and what it means for your life in Above Down Inside Out: Your Guide to How Your Body Works. If you have read this blog for a while, you’ll probably remember how I did a series on Innate Intelligence in late 2010. I covered the five properties of Innate Intelligence, what they do, and how they affect our health. I planned on combining that series into an e-book before I ever started it, and this is that e-book. I had a lot of fun writing about Innate Intelligence and, if you didn’t read that series, I hope you enjoy reading this e-book. You can click here to download Above Down Inside Out: Your Guide to How Your Body Works or click on the image below. “Pssss… I Exerted Myself” – Vanessa Gale, D.C.